PHILOSOPHY OR PHYSICS -WHICH IS YOUR CUP OF TEA? Do you ever think about how humans came to be? How Earth was “born”? Has the Universe been here since the beginning? You might believe that this was the will and work of God … or you might not. Many scientists are researching how it all began. One of the famous research centres is CERN, the particle accelerator in Geneva that’s trying to figure out and reproduce how the tiny particles formed everything that we’re surrounded by. Big Bang. 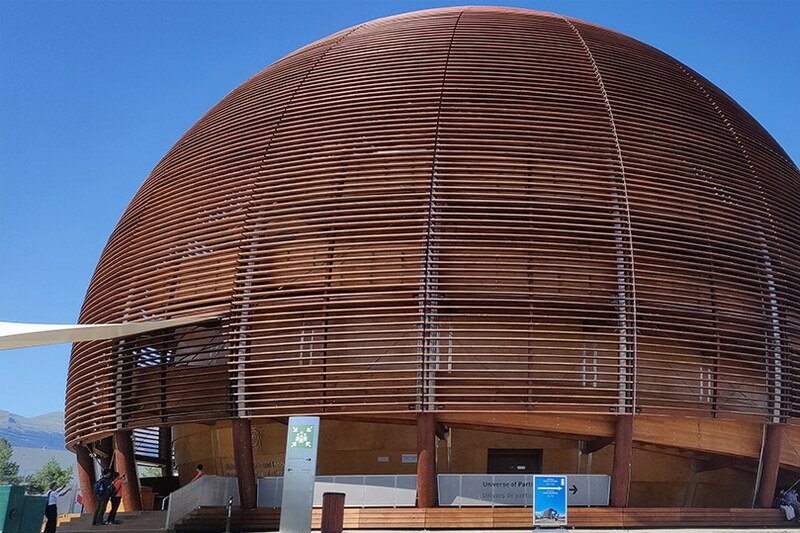 CERN has one of the biggest and most powerful accelerators in the world – the Large Hadron Collider. Imagine an underground structure resembling a 27km long ring – underground (!) under Geneva and some surrounding cities. The ring consists of two pipes/tubes for particles and thousands of magnets that accelerate particles to the speed of light. The particles in each pipe run in the opposing directions causing the particle beams to collide at several points in the accelerator ring. This collision results in energy (as Einstein explained: E=mc2 – mass can transform into energy and vice versa). So far, they’ve discovered that where there was nothing before, Big Bang happened. After that, God knows what happened. Eventually, the quarks an gluons started binding and began forming protons and neutrons that formed atomic nuclei and so on (I’ll leave the Physics aside) … until stars and galaxies appeared and then some millions of years after, life happened. This is 13,8 million of years of evolution in short. So, recently I had a chance to visit CERN and some exhibitions and as I was looking at these images of particles running around the accelerator pipes from a distance, I could finally see a parallel with the startup accelerator. In physics, you have protons and neutrons that form an atom. These particles are fairly different, with a different charge, but are equally necessary because they define the atom. Similarly, the startups (atoms) consist of different individuals (protons & neutrons) that are essential to the team and define it. These people have different profiles and different characters, but diversity is necessary for the team. And just as the magnets in CERN accelerator force the particles to speed through the pipes, we give the particles (individuals) the tools, we give them speed and we cause collisions – workshops, mentors, investors, lectures, events, investment, time – and then energy forms. Results happen. These collisions cause them to give up on their convictions about their product & users and find an ideal customer through proven practices. They finally understand their own product and are able to sell it to the right people. They use that to spread to other markets. They are able to talk to investors and make them listen. They get relevant and reliable connections – businessmen, innovators, investors, tech guys that push them. Full support and attention. They realize focus is everything – you can’t sell everything to everyone at the same time. To be fair – not everyone can do this. Some discover this startup life is not for them and they leave. Some have different expectations and some are not prepared to listen, learn and/or change. But there are so many others that blow you away. That work hard and believe in their product – that doesn’t mean they don’t listen, nor does it mean they do everything we say. They question, they listen, they ponder and then decide. They realise the added value of having this support system. Let me close this post by saying that no, we don’t accelerate startups. ABC Accelerator accelerates particles. We accelerate individuals in teams and we give them tools to work towards a common goal as a team. We cause collisions and that leads to results. Late night philosophical thinking alongside official CERN documents. Photos from personal archive. Tanja Golčman is the programs coordinator and she’s testing the waters of digital marketing. She’s definitely not an expert in physics, so don’t try to sell this theory to your physics teacher. For the sake of the story, there is a slight disharmony when it comes to comparing the individuals to particles/atoms.